Employees may have questions about whether they can or should switch coverage from the Marketplace or CHIP to the employer’s health plan. Employers are required to give notices to employees on hiring about the availability of health insurance through the Marketplace, and annually about the availability of CHIP. Employers may want to consider adding information to these notices regarding the potential impact on immigration of accepting either of these benefits. Employers that wish to retain non-US citizen employees may wish to improve health benefits (particularly for dependents) to discourage use of the Marketplace or CHIP. The change in regulations would have a number of effects on employers who hire non-US citizens, particularly in instances in which the employer is sponsoring them (such as for an H-1B visa or a green card) which are beyond the scope of this post. However, this post discusses the specific impact on employee benefits of the proposed regulations, and potential employer responses to them. Immigration law has long included a “public charge” doctrine. Under Section 212(a)(4) of the Immigration and Nationality Act (INA), an individual seeking admission to the United States or seeking to adjust status to permanent resident (obtaining a green card) is inadmissible if the individual “at the time of application for admission or adjustment of status, is likely at any time to become a public charge.” Under section 237(a)(5) of the INA, 8 U.S.C. 1227(a)(5), a person may also be deportable as a public charge. 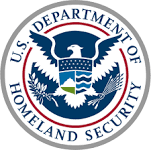 Although the statute makes no mention of applicants for extension of stay and change of status, the DHS takes the position that the public charge doctrine applies to those determinations as well. There are exemptions to these rules for certain categories of individuals, such as those seeking asylum. So what is a public charge? Basically, a public charge is someone who receives certain public benefits, as defined in regulations. For example, receipt of Temporary Assistance for Needy Families (“TANF”), formerly known as Aid to Families with Dependent Children (“AFDC”), would cause someone to be considered a public charge. Obviously, for someone already in the country, having been a public charge in the past would in many instances be a major indication that the person was likely to be a public charge in the future. However, the relevant authorities have a great deal of discretion in applying the tests, and in some instances, may find that a past history of being a public charge does not indicate that the person will be one in the future. For example, someone might have received TANF benefits in order to support themselves as a student. However, if the person had managed to graduate with a degree that made the person easily employable, the prior receipt of TANF would typically not indicate that the person would be likely to become a public charge in the future. Moreover, only benefits for the non-US citizen are counted in the public charge determination. Benefits received by a non-US citizen on behalf of US citizen dependents are not. This is particularly significant inasmuch as many non-US citizens resident in the US have children who are US citizens by reason of having been born in the US. Public benefits received by a non-US citizen for the benefit of dependents, even US citizen dependents, would be considered in the public charge determination. With regard to the second issue, DHS is proposing to define public benefit as any government assistance in the form of cash, checks or other forms of money transfers, or instruments and non-cash government assistance in the form of aid, services, or other relief, that is means-tested or intended to help the individual meet basic living requirements such as housing, food, utilities, or medical care. This would include Medicaid, CHIP, and health insurance under the Patient Protection and Affordable Care Act (ACA) that has a premium tax credit or cost-sharing subsidy. Moreover, because of the third point, CHIP would be considered a public benefit. Thus, an individual who had primarily wage income, but who also received premium tax credits or CHIP, could be considered to be a public charge on that basis. The most immediate effect on employee benefits is that non-US citizen employees may ask to transfer the health insurance from the Marketplace, CHIP, or Medicaid to the employer’s health plan in order to avoid the new rules. However, an immediate transfer to the employer’s health plan is not necessary, and in most instances is not possible. Immediate transfer to the employer health plan is not necessary, because items that are newly considered public benefits under the regulations would be considered only if the individual or the individual’s dependent child or household member received or used such benefits on or after the effective date of the final rule. Thus, receipt of health insurance from the Marketplace, CHIP, or Medicaid before the rules are finalized will not hinder an individual’s immigration status. Moreover, in instances in which employees pay premiums on a pre-tax basis, employees can make changes in elections only during open enrollment or on the occurrence of certain defined changes in status, and the proposed rules would not count as a change in status. The second issue for employers would be whether to modify notices they now provide with respect to the availability of coverage under the Marketplace or CHIP. While such notices are legally required, employers may be concerned about whether the notices would cause non-US citizen employees to obtain coverage that would later disqualify them from changing status, extending status, or obtaining green cards. Thus, consideration might be given to supplementing the legally required notices with information regarding the potential impact on immigration status of accepting such benefits. Finally, for at least some employers, foreign nationals are an important part of the workforce. While most employers are currently mandated to provide affordable health insurance to employees, they have no obligation to provide such insurance to spouses or dependents. The new rules may provide an incentive for employers to provide insurance on more favorable terms to spouses and dependents, in order to avoid losing valuable employees due to the employees’ inability to maintain their status within the United States. The DHS regulations do not explicitly regulate employee benefits. Nevertheless, they are important for employers to consider in structuring their health plans, and in communicating to employees about them.